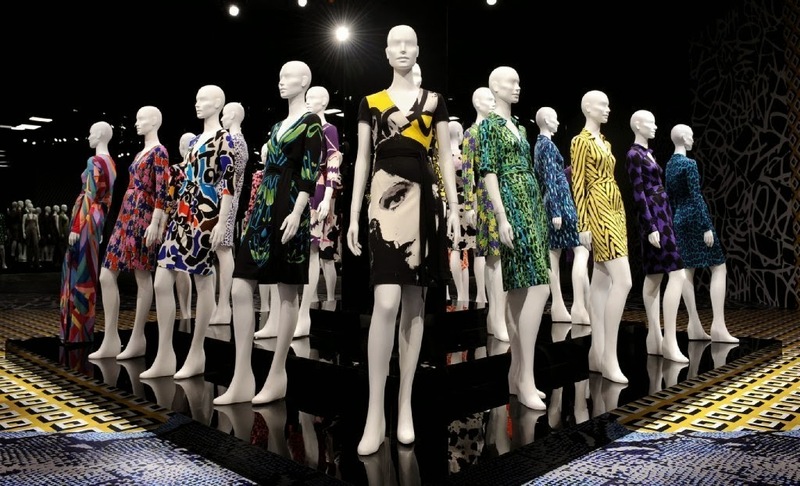 Diane von Furstenberg's Journey of a Dress exhibit was opened last month to celebrate the 40 years since she introduced her iconic wrap dress. The free exhibition runs until April 1, 2014 at the Wilshire May Company Building in Los Angeles. Diane Von Furstenberg with actress Gwyneth Paltrow. Watch this video featuring Coco Rocha and Andy Cohen as they chat with Diane about the wrap dress and celebrate with celebrities who came out to the exhibition in January. 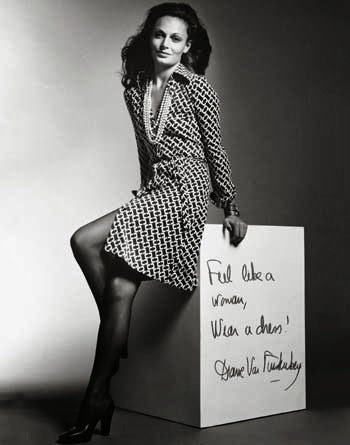 Women's Wear Daily of her dress that revolutionized women's fashion.